UPDATE: 8:15 a.m. EDT — Blizzard Entertainment announced it has restored access to its gaming servers. UPDATE: 7:30 a.m. EDT — With about two hours since the DDoS attack began on the servers of Blizzard Entertainment, popular games like World of Warcraft and Overwatch are still inaccessible by players around the world. PoodleCorp, which took responsibility for the latest DDoS attack on the gaming company, said it would stop the attack when its tweet announcing the attack was shared 3,000 times. And as of 7:30 a.m. EDT, it had been retweeted just over 1,100 times. Some gamers, livid at the repeated interruption of Blizzard servers over the last few weeks, were angry with PoodleCorp for targeting the gaming company repeatedly. @Support deactivate the user poodlecorp, they are using this platform as a way to receive attention for ddos'ing @Blizzard_Ent. @poodlecorp @blizzard_ent Does that mean once you get your 3k you will just do this again anyway? UPDATE: 7 a.m. EDT — The DDoS attack against servers of gaming company Blizzard Entertainment that began around 5:30 a.m. Wednesday seemed to have reduced in efficacy, with some players saying they could log in to the servers and play. @PoodleCorp @Blizzard_Ent lol dude, Blizzard is #Online. I am playing a Blizzard game right now. You gotta do better than that. Even on tracking website downdetector.com, there were fewer reports of gamers facing problems. 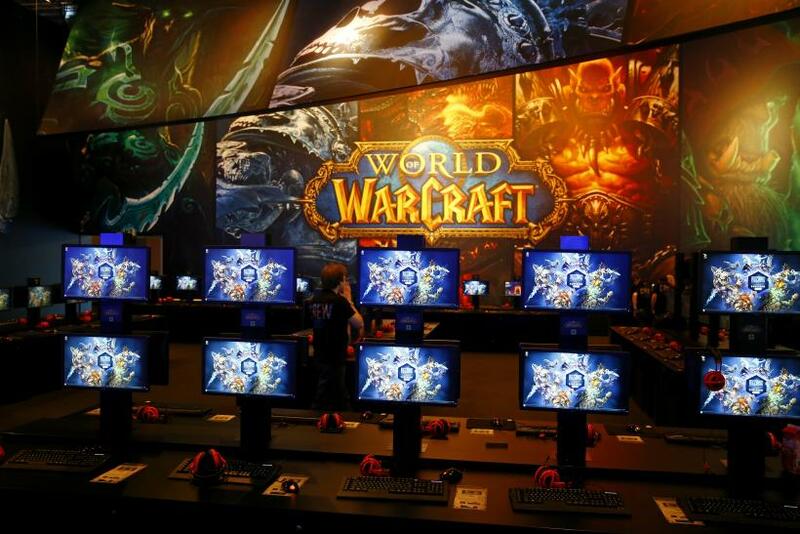 For its part though, Blizzard said it is still monitoring the ongoing DDoS attack. Hours after it said it was stopping its attacks against Blizzard Entertainment, it seems that the hacking group calling itself PoodleCorp has taken down the company’s widely popular gaming servers again. And the group says it will reinstate the servers once its tweet has been shared 3,000 times. Blizzard confirmed that it was investigating a distributed denial of service (DDoS) attack against its network providers. Three days ago, on Sept. 18, PoodleCorp had carried out a similar action, which had ended once it had been retweeted 2,000 times. It is not clear why the hacking group has been targeting the video game company repeatedly but gamers who are affected are clearly not happy, with some venting anger toward Blizzard. Some others took a more sympathetic approach to the company. @Shiro_Longtail This it, it's not Blizzard being DDOS'ed, but network providers. Not much Blizzard CAN do. @PoodleCorp You seem to be pushing the Blizzard thing a little hard.Looks like you're trying to take credit for something you didn't do.sad. On Aug. 31, another big DDoS attack on Blizzard servers had prevented players from logging on for hours.